Can someone tell me what its value is. I can supply pictures if necessary. The drum is more than likely a mid-thirties production Worcester Press made drum for the Colt Thompsons. Post some pictures and we can definitely help you with it. I'll post some pictures later today. Thank You!! 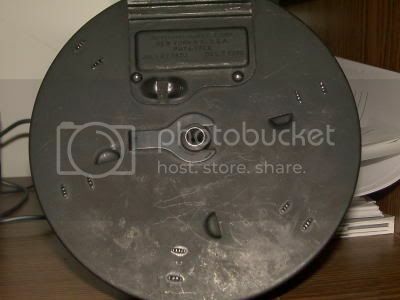 Here are the pictures of the drum. Any help with approximate value is appreciated. You may want to do a search and see an earlier extensive discussion on on this subject. Search Subject Drum and Member Sig (any time period) or try this link if it works. My impression is this is a Colt based with the comma after the N.Y., being my guide. The rotor looks kinda dark in the picture it should be nickel type finish not black to be original. The Worcester drums noted New York, N.Y. where Colt had New York N.Y., from what I see in Doug Richardson's book on the subject. 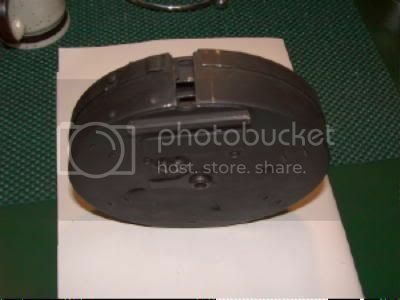 Colt drums should have a nickel internal rotor where Worcester's were black oxide finished. I claim to be no expert your mileage may vary! Seriously take a lot of opinions on this subject not just mine please if you are thinking of buying. Appears to be third model Colt L drum with a Worcester rotor (non nickel plated). 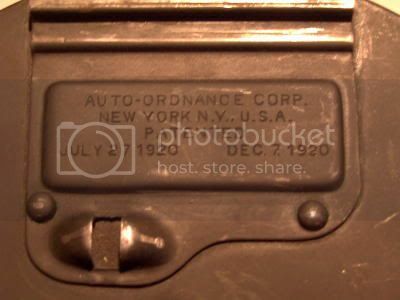 PS: On second inspection, I see that there are spot welds on both front and back covers, indicating Colt lineage. It appears to be a nice drum! I'd venture to put a price of $2,000-$2,300 on this drum. 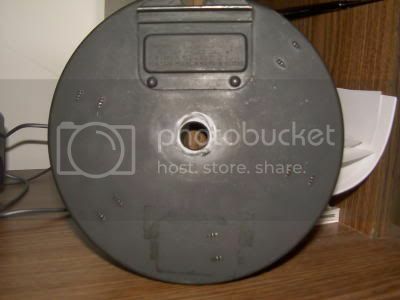 Also, you might want to get some differently angled shots of the internals to reduce the glare and clearly show that it is, indeed, a Nickel rotor. Arthur, I think you are right, about this Drum, because of the spot welds (went back and checked the old discussion) and the "5," from".45" is under the "g." Note: There does, however, appear to be some difference of opinion about the spot welds, whether they indicate Worcester or Colt, between Tracie Hill and Doug Richardson. I believe only the three type Colt drums had nickel rotors. The Colt drums are supposed to have the two faint "spot welds" above the slide markings. Spot welds are very pronounced on Worcester drums BUT Colt drums still have spot welds. Closer photos of drum. I believe it is a nickle rotor, from what you members say about Colt manufacture, I think you are correct from what I see. 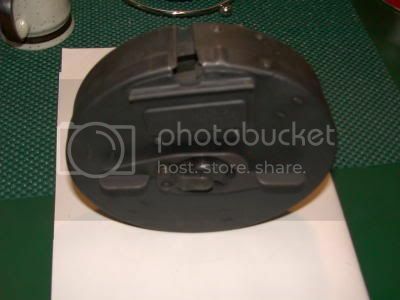 Do these photos offer any more help or change of mind about the manufacturer. I bought this drum 5-6 years ago for $500. Thanks again. You might want to polish the rotor out to insure it is nickel. 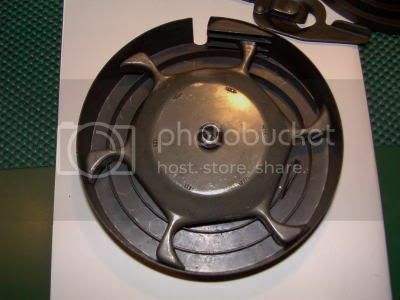 Many Colt drums have had their nickel rotors swapped for black oxide Worcester ones. 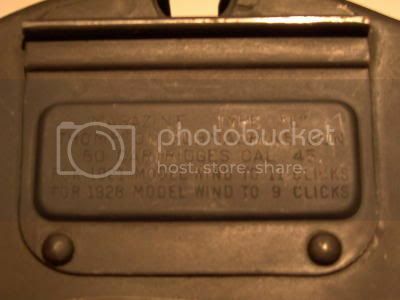 I have a low three digit numbered Colt L drum with the faint rivets on the back cover. I can't imagine how Hill and Richardson could be at odds about whether these "spot welds" indicate Colt from Worcester. All they need to do is look at their own Colt drums and compare to Worcester drums. Surely each expert has their own swelling collection to be definitive? Since its from the "Colt" era, I could offer $400 for it. hawk, I don't know what Arthur is refering to, regarding 'polishing', but, don't polish off what patina is there. That could be very costly, similar to refinishing an 18th. century Boston Highboy, if you know what I mean. Art and Walter, I sure appreciate your input. Obviously, you gents know much more about these drums than I do. 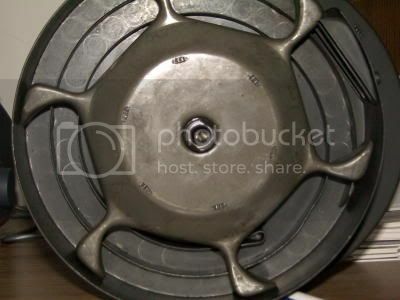 Am I right in thinking this is a thrid generation Colt drum? I have no intention of selling it, I was just curious as to what it could be worth today. I still run it in my 1928A-1. I agree, Walter, with not polishing the rotor. I generally keep things as they came to me. Thanks again for your help. Have a happy and prosperous New Year! If you were to polish the rotor, you would not be compromising its originality, you would merely be revealing the actual nickel, if that's what is underneath. This is not a patina issue, since the component resides inside the drum, and is part of the drum's mechanical function. Polishing, or restoring the luster of a Colt nickel bolt, or Navy actuator cannot impact value. This is not comparable to refinishing the Colt stocks and grips that have accumulated all the character from being exposed to the different people handling the weapon over the last 80+ years. $400 will get you a slightly dented WH drum. Well, thanks for the clarification, Arthur. But, I still would not refinish the rotor! A refinish implies replacing an original finish with another. Cleaning a piece of metal to reveal the original finish (in this case bright nickel) is just that. Since they apply that method to the Sistine Chapel, I doubt John T. himself would balk at it being applied to his namesake weapon.